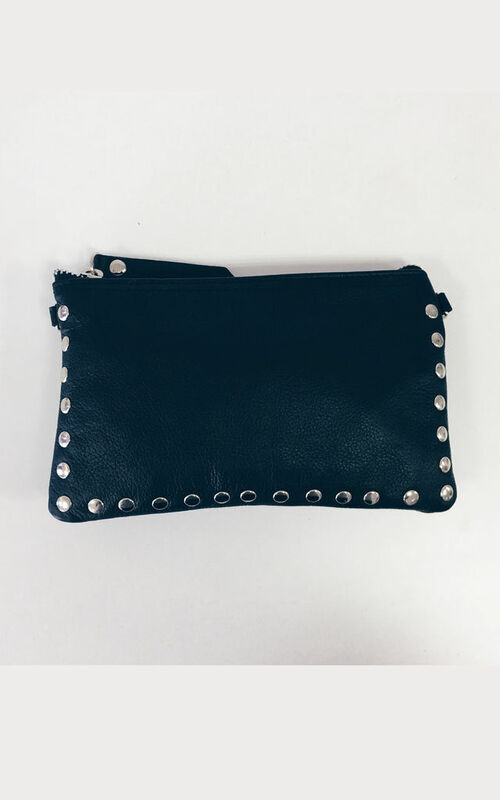 Black leather mini bag with silver studs and zipper closure. 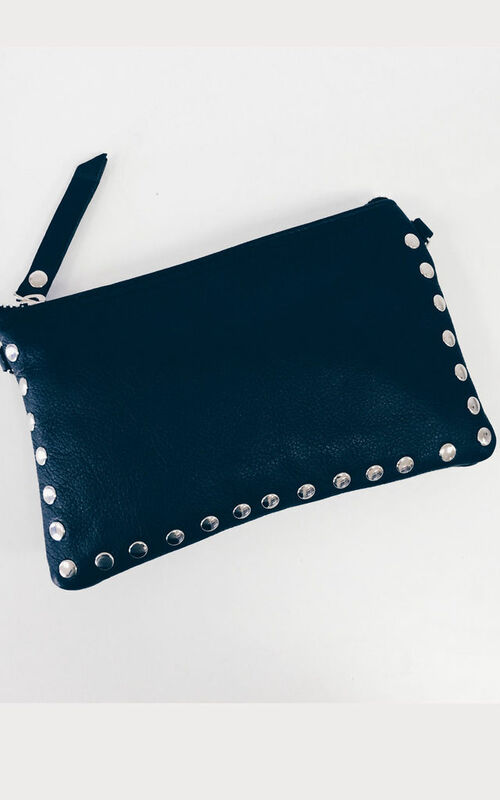 Saturday night fever bag. You rock! Dimensions: 19 cm x 1,5 cm x 11,5 cm.